We got a nice visit from Gabi, Matt and of course Pixie last week, but I think we need some noisy toys. Sally is all for getting the Happy Valley set out of the loft, but I think a few clockwork musical things will do just fine for now. It was Sally’s birthday, and later that night we went to the pub where the main topic of conversation was Ladycare Magnets. I must admit, I never knew such a thing existed, but some people swear by them. Fiona is certainly not one of them, quoting Dr Ben Goldacre who writes a column in the Guardian claiming to debunk “Bad Science”, and the Ladycare Magnet, or Fanny Magnet as Dr Bob calls it, certainly falls into that category. Kitty, on the other hand, who coincidentally also calls it her Fanny Magnet as well as referring to it as “him”, would not be without it, except when she’s wearing tights! Its good for sleep, its good for moods, in fact I wouldn’t be surprised if it also provided the winning Lottery numbers. But is it a placebo? Well there is plenty of anecdotal evidence on that Oracle Of Everything, Facebook, that extol its virtues. One lucky lady encourages her friend to “get it in your knickers, you’ll feel wonderful,” though it is not without its hazards. Airport security could be an issue if the magnet sets off the metal detectors, whilst other metal objects such as fences, pencil sharpeners, nails and even the ring through a bull’s nose could also be attracted to it. Kitty says she gets stuck to radiators. I think I’ll have to set up an online survey. Our cats have been spoilt. Sally took to buying Sheba cat food, the one in the little tins, and now they won’t touch anything else. Whiskas, Go Cat, Morrison’s own brand, all get a quick sniff and then a disdainful look gets thrown in my direction. I’ve tried a number of things. Tinned tuna gets a big thumbs up, but duck in any way shape or form is a real no no! As is mackerel in a spicy tomato sauce. I won’t make that mistake again. Managed a sneaky lunch with my old mate Bernie last week – but the Water’s Edge in Nottingham doesn’t really have much in the way of healthy options on its menu! Still, we passed an hour talking crap about football, music and lots of other unrelated stuff. Wonderful. WTF is wrong with Nottingham traffic. Sometimes I can get there in about 80 minutes. Last week it took 3 hours. 3 hours! I got to junction 26 of the M1 (along the A610) in about an hour. Or rather, I got to the tailback for that junction in about an hour. Apparently a broken down vehicle added another hour onto the journey, and then a police car blocking 3 lines of a four lane highway did the rest. Thanks for that, glad there were no rapists or murderers for you to go and chase. As I’ve said before people are generally polite when you cycle down the canal. Occasionally, a dog will bark at you, but generally their well behaved owners will keep them in check. 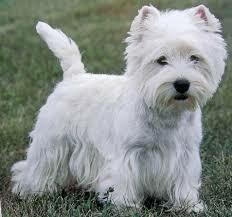 Last week, however, a woman had let her Westie stray just a little too far. It then proceeded to run alongside my bike, barking furiously. It was very cold, and I actually felt a bit sorry for the dog as it hit the water, and for a moment I wondered whether someone would actually manage to fish the poor creature out before hypothermia set in. But only for a moment. That particular trip took me as far as bridge 25 at Disley. The sky was closing in, the route was incredibly muddy, and it was freezing, so I took to the road at the top of the path and went back that way. Its quite frustrating not being able to carry on to Marple, but on this occasion discretion was definitely the best option as the heavens opened just as I got home. I am now able to get out of the saddle and head up gentle inclines, and I’ve started strengthening exercises, but these tend to leave the knee and surrounding areas very sore. 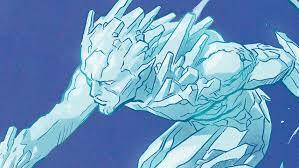 The aforementioned 3 hour journey to Nottingham didn’t help, and I am convinced that the cold weather is just sitting there, chilling my joints as if they had been kissed by Iceman. Its now exactly 2 months to the start of the cricket season, and the clock is ticking! Sally and Fiona spent four days in Texas last week, including two days trail riding on a ranch. It was a while before Sally contacted us at home, stating in rather surprised tones that the ranch was in the middle of nowhere. And there was me thinking it would be right next to Walmart or the San Antonio Mall. Dinner on the ranch was a bit like school dinners, but she made up for that with VIP access to the rodeo, including a show by Pitbull (the singer, not a random dog). Steak and Sangria were the order of the day, whilst we were at home, alone, on that most romantic of days, Valentine’s Day. Rather than pining away and feeling sorry for myself, I made her a video. The wonders of Texan wifi meant that she didn’t get it until she was heading for the airport to come home, but her response to me pouring my heart out was for her and Fiona to spend a large part of the return journey in uncontrollable laughter as I tried in vain to tug at my absent wife’s heartstrings. I suppose it should be posted on here, as Fiona has clearly already seen it so it can no longer be considered private, but I’m not sure. What do you think? It was a busy weekend, with Zac having two separate cricket sessions, and Ole having 3 parties. On Saturday night he over indulged and was sick, but at least he made it to the loo. And it seemed to have no adverse effect as he scored for the second successive game on Sunday. That helped his team to return to the top of the league, but with 12 games to go there is a lot of football still to be played. Anyway, after a quiet Monday Ole is now feeling quite poorly, worn out after all of that partying, but I guess he won’t be told! Last night was Sally’s return, so I made chicken fajitas and guacamole onion rings. Zac had already had spaghetti, Ole was like a dead dog in his bed, and Sally was ‘resting her eyes’, recovering from her exhausting trip. So it was a table for one! The guacamole onion rings have apparently become an internet sensation. I’ve seen two links on Facebook, so if that is all that it takes to become a sensation then there is hope for all of us! Anyway, they are ok, but very messy to make. Probably not worth the effort as there are better ways of making onion rings and better ways of making guacamole. Finally, Zac got invited on a walk with some of his friends yesterday. I spoke to one of the mum’s who would be accompanying the children, and she told me that the plan was to head for Hayfield. I told Zac he had to get his hiking boots out, a thermal top, warm trousers and socks, a jumper and a coat. And gloves. And a rucksack. A rucksack? Yes, I then told him his packed lunch included a sandwich (well actually an empty sandwich), crisps, apple, water, fruit shoot….at which point he interrupted me. ‘Hang on, how long is this walk we’re going on?’ he asked, somewhat indignantly. There was no need for further debate!